Frozen Perogies Done Like A Boss! So sometimes I am an extreme looser and am home alone all night long while Mikey works the night shift at Palmer Paving and Dave and Cait are else where. I will say, it is very depressing and come dinner time I kind of get empty nest syndrome! I AM ONLY 25! I AM TOO YOUNG FOR THIS SH!T!!!!!! Well incase you wonder what I do for myself, or if I just starve until the next meal comes around… here is what I manage for myself so you all can mock and laugh at me hahaha! Especially laugh at me for turning it into one of my step by step deals! LOL! See, they look so happy all nestled up in a paper towel all warm and cozy looking unlike yourself! Now drink some wine so you feel a little better about yourself! 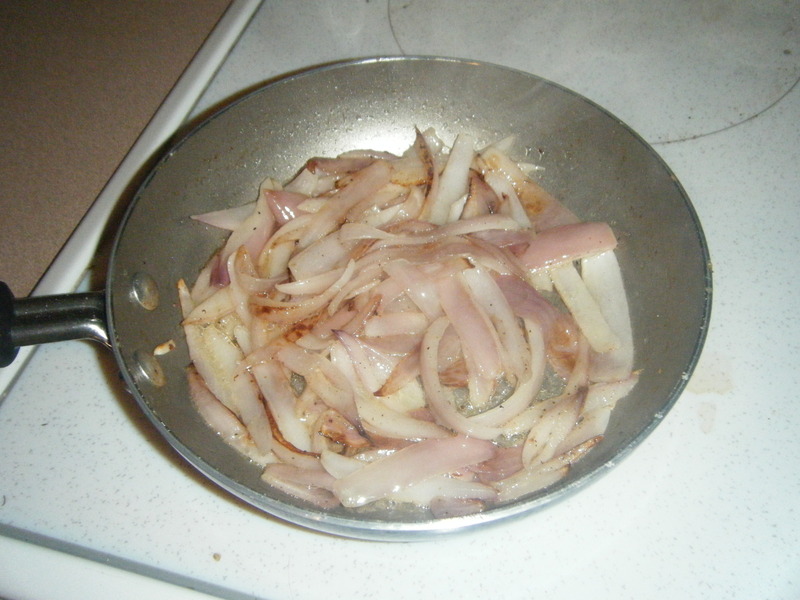 Next I slice up my onion and saute it until it carmalizes over medium high heat… Drink some more wine! Or atleast until you dont feel so lonesome! YAY! Now you wont feel so hungry so you can focus soley on feeling alone in a big house in the middle of the woods! Oh and did I mention you can hear scary things in the dark digging around in your trash! 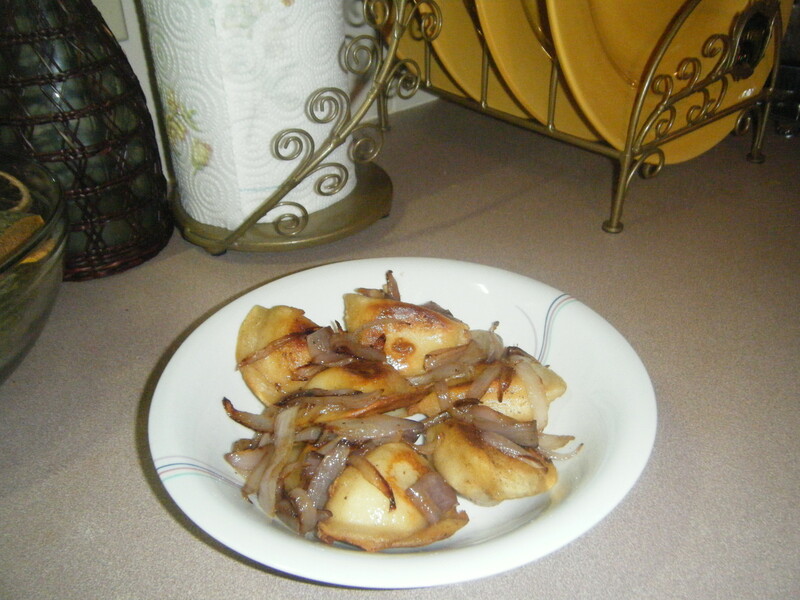 Hey I love frozen perogies, Great idea with the onions, must say I never tried them this way. So there ya go , you helped me change my way of fixing them… Thanks!!! Aw thank you for making me feel better about myself! I had a ton of people ask me why I wasn’t posting for a few days and this is why haha. It consisted of frozen diners for one spiced up with some of my awkwardness! Lol. 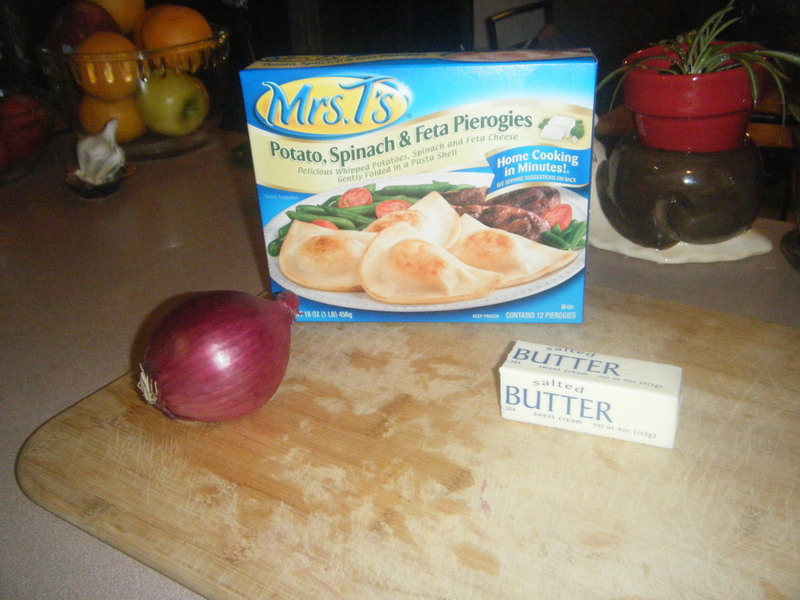 I have made perogies with my Polish church group for years, There secret ingredient for cabbage perogies …(George Washington Spice) ia a small package found at Big Y. Yum!! Yum!! Wow, didn’t know about the Geo. 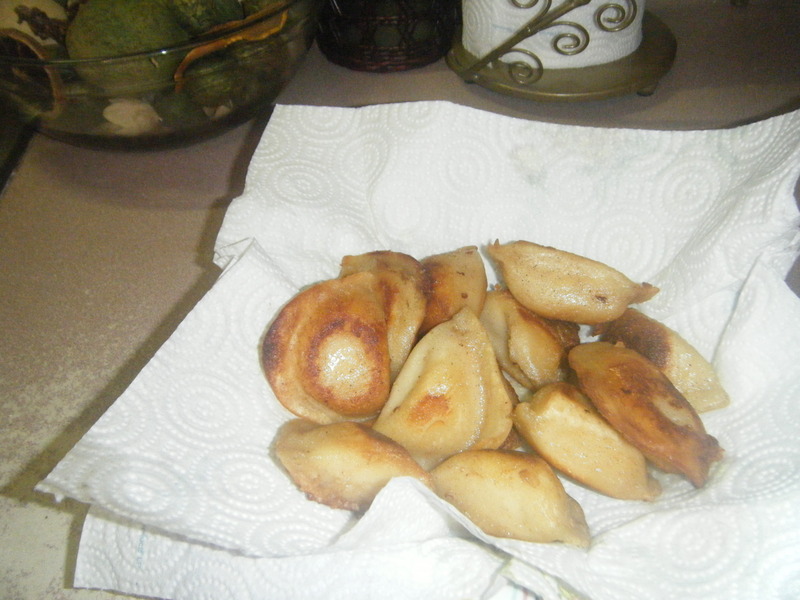 Wash. seasoning in cabbage perogies… I have some in my spice cabinet ( of course! ) Great Idea!!! Sandy, when you make your dough do you cover it with a damp dish towel after you roll it out? This helps it from drying out while your filling the cabbage. Also, when you pinch your perogies closed it helps if you wet the inside edges with water. This helps to seal them from water getting in. Perhaps if you also didn’t use too much flour when rolling out your dough.. Just a thought 🙂 Hope this helps! !